Purchase a gift voucher today and let the lucky recipient climb aboard a custom-built, semi-rigid inflatable vessels to begin an adventure that offers a high-octane spin on the standard island cruise formula! 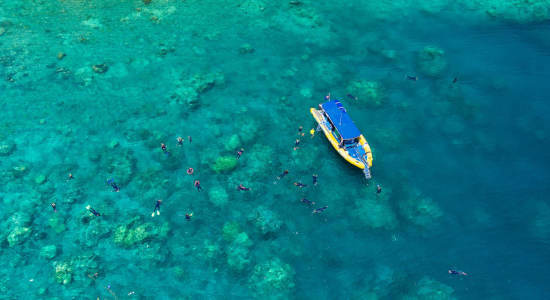 This tour will take guests on an exhilarating ride over the glistening waters of the Whitsunday Islands to such hotspots in the area as Whitehaven Beach, local pristine snorkelling reefs and to highly popular tracks that are great for some of the region's best Whitsunday walks. 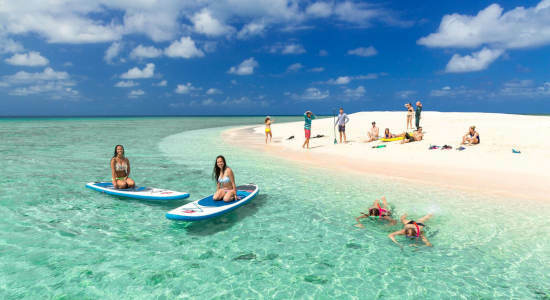 This tour combines all of the best possible elements of the area into a package that gives a fun ride, exciting adventure and education all amongst the natural beauty of the Whitsundays. With special permits allowing the tour to take guests to protected areas in the Great Barrier Reef Marine Park, they'll see sights that are out of reach of most tourists as it visits the "wild side" of the Whitsunday Islands - the uninhabited islands brimming with both beautiful natural scenery and native marine and bird life. The skipper and Eco Host will ensure all guests have a fun-filled adventure with personalised service to form a completely satisfying Whitsunday cruise experience! Browse the two routes below and choose which voucher you think will best suit your recipient. The recipient of this gift voucher will discover Whitehaven beach and its beautiful white silica sands plus lots more on this tour. Learn more here. Give the gift of a Whitehaven Beach Ocean Raft Tour North and make someones trip to the Whitsundays unforgettable. Purchase a voucher here.